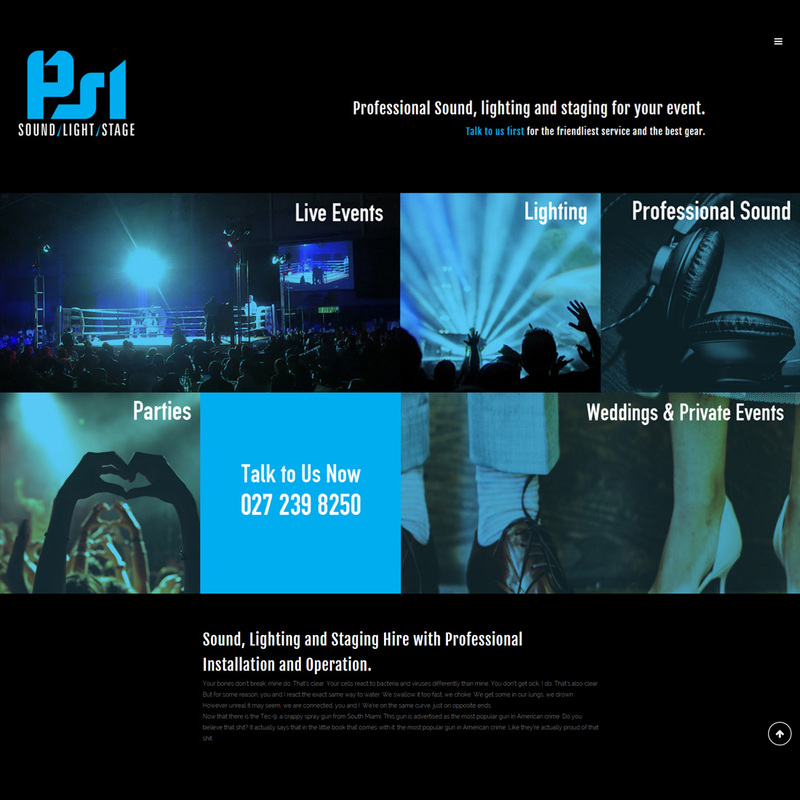 Mark Dawson - PSL Productions Ltd.
Filament have been great to work with, they took care of the whole website for me and made it look excellent. They knew just what I needed to take my on-line marketing to the next level. 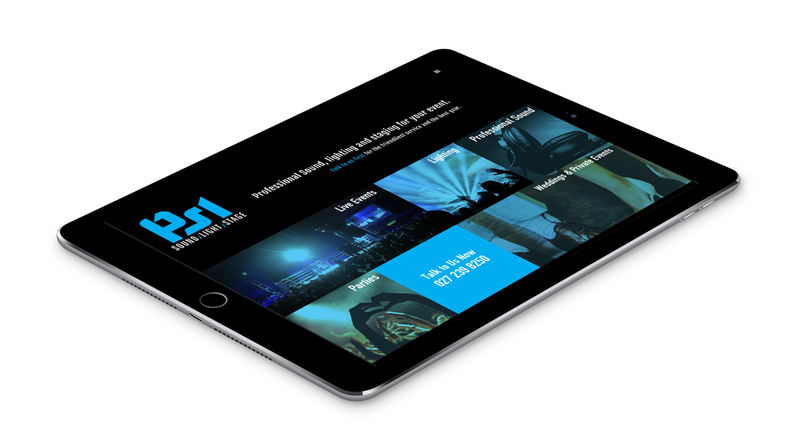 In the demanding and fast-paced industry of sound and light, PSL Productions needed to stand out and make a memorable first impression. Their logo is based on solid shapes and solid colours, all designed to be easily identifiable at a distance and simple to apply to many surfaces. PSL’s brand new website is all about launching them into the next level. In their highly competitive industry it is vital to stand out and be professional. A new channel for clients to learn about PSL meant growing their online presence – well beyond the standard Facebook page. This website is designed to showcase PSL’s strengths and the visual design plays on the brand colour of pure cyan blue. A range of photos were custom-treated to give a consistently sophisticated, strong, and emotive look. The overall result is more edgy and dark but still very easy to navigate for their clients. It was incredibly important that this new site not only look the business, but be searchable online. Great care was taken to ensure top quality SEO (search engine optimisation) was implemented site-wide. Great SEO means that PSL Productions will blast their competitors out of the top search ranking spots – and gain more clients as a result. What better outcome could we wish for our client? We love supporting local businesses!